Wisconsin Rural Partners awarded the Wisconsin Innovation Kitchen one of their Top Rural Development Initiatives for 2011 at a ceremony last Friday, at the 2011 Wisconsin Rural Summit. Thank you Wisconsin Rural Partners, and thanks to all the many wonderful enterprises that are patrons of the Wisconsin Innovation Kitchen. 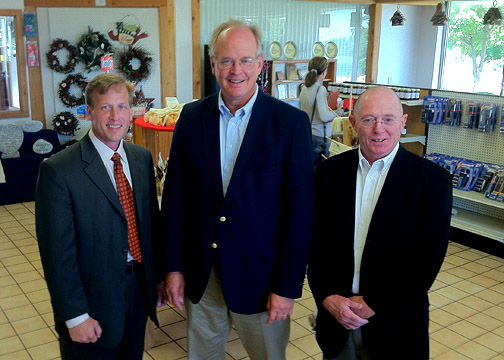 "The Wisconsin Innovation Kitchen has been recognized by federal, state, regional and local governments, non-profits, businesses, development organizations and the media for its unique and valuable contributions to economic and community development in rural America." 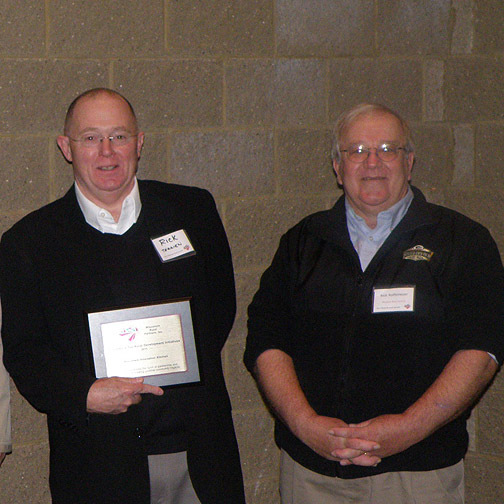 The Wisconsin Innovation Kitchen and Iowa County Area Economic Development Corporation thank Wisconsin Rural Partners for this honor! Download full press release, from Wisconsin Rural Partners. Opens in PDF format. Iowa County (WI) Area Economic Development Corp. Come Grow With Us! Photo: Ricky Rolfsmeyer, Wisconsin Rural Partners, and National Chairperson of Partners for Rural America, presenting the 2011 Top Rural Development Initiative Award in Wausau, WI, Dec. 2, 2011. 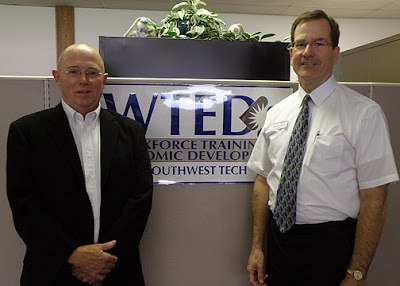 Thanks Dr. Duane Ford, new President at Southwest Tech in Fennimore Wisconsin for the invitation to join their newly established Entrepreneurship Advisory group. "....identify, nurture and support entrepreneurs." I'm grateful and enthusiastic about this invitation. Southwest Wisconsin is a wonderful place full of promise and opportunity. The new efforts Dr. Ford is setting up at SW Tech should help develop these opportunities across the region and beyond. 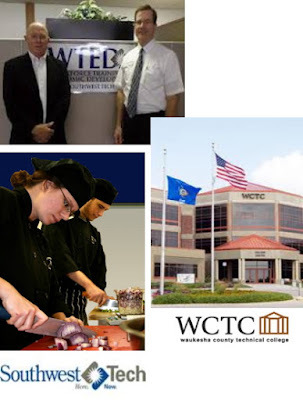 I'm now honored to be on Advisory Committees for both Southwest Tech in Southwest Wisconsin and Waukesha County Technical College (WCTC) in Southeast Wisconsin. Our Wisconsin technical college System is making great strides toward job creation, business startups and entrepreneurship goals for the wider community. 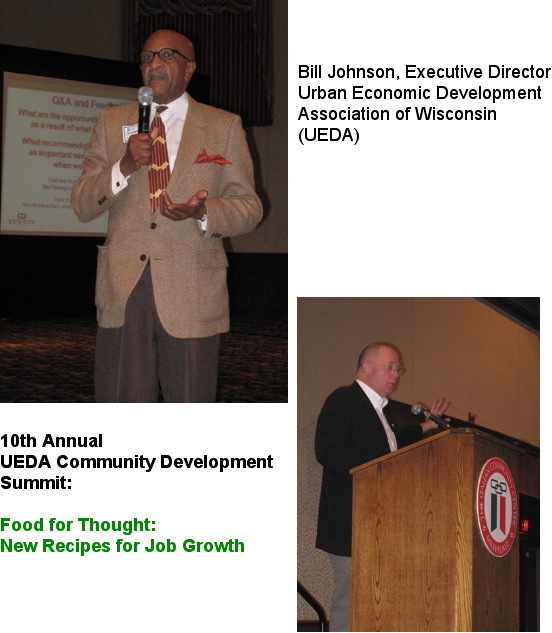 I thoroughly enjoyed my presentation in Milwaukee this week as one of the keynotes for the Urban Economic Development Association. More on this later. What seemed clear to me is that our Wisconsin technical school system has a strategic role to play in food-based economic development. I am watching them step up to meet this challenge. 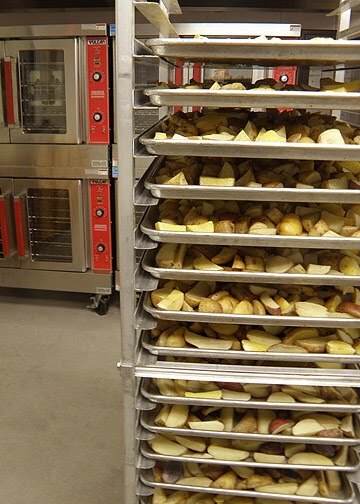 Milwaukee Area Technical College is launching several new degree programs in food processing management. Forward! It's a great honor and privilege to work in such amazing areas across all of Southern Wisconsin. Thank you for the invitation to join the SW Tech Entrepreneurship Advisory Board Dr. Ford. It's the Renaissance age of entrepreneurship and it's just beginning. Check out programs from these two great schools! Southwest Tech in Fennimore, WI. When we started our first business in the 70s we were very excited to get a few orders per day. When orders started coming in faster and faster we knew we had to control our data or forget about surviving, let alone growing. We built our first digital business management tools on a second-hand Kaypro computer. I still have the 5 1/4" floppy disk we used to run our accounting on that system. When our kids were born, they automatically joined our family business enterprise. Anne was five years old in 1987 when we got our first Macintosh and our first database program, Hypercard. She had watched her Mom, (my wife and business partner Mary) organize all the information it required to manage our small business. Anne also understood very early that helping control that data made Mom happier. At the time most of the Macintosh programs started with 'Mac', as in MacPaint, and MacWrite. When we wrote our own database for our business (in Hypercard), Anne named it MacMom. The idea of being able to control your own computer interface so that you could manage what specific information and outcomes you wanted out of your computer was a powerful new capability that seemed immeasurably valuable at the time. And it was easy, thanks to Bill Atkinson who created Hypercard, and the good folks at Apple. Anne wrote a program in Hypercard when she was only six years old to teach her two year old sister Eileen how to use a mouse - and it worked perfectly. "Atkinson believes that the killer app of mobile telephony will not be augmented reality or gestural interfaces or anything like that. Rather it will be earpiece that connects users to a virtual digital assistant who lives in the cloud and will remember the name of the restaurant where you had dinner last time you were in the city or the name of a vaguely familiar looking acquaintance approaching with his hand extended." 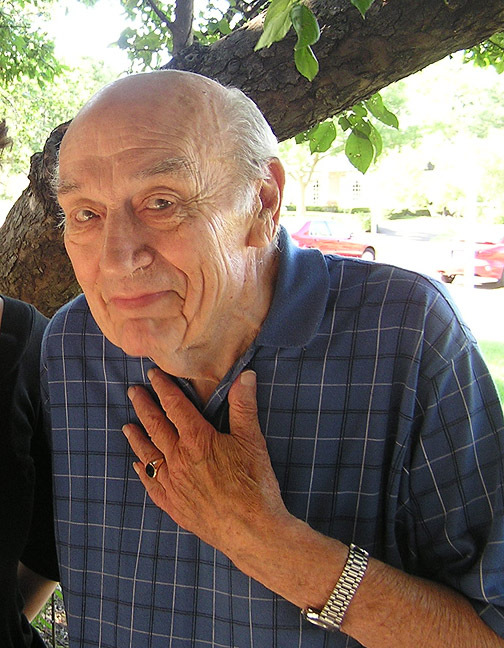 "I'm about to turn 60," Atkinson says, "and most of my memories reside in the brain of my wife." When I repeat this quote, my family nods and agrees. Once upon a time, MacMom, Hypercard, and Bill Atkinson made data control happen for our family and our small business. We could do it in real time. Not yet in the cloud, but in our family business. Amazing stuff then. Amazing possibilities for the future. You do data control for yourself. It's not part of a business plan. It's the core of a sustainable business life. 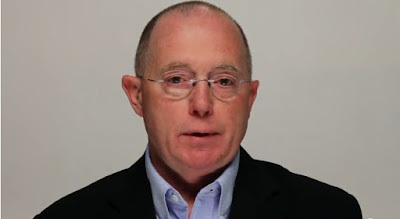 Bill Atkinson was an important figure in the early days of Apple, and the designer of the world's first popular hypermedia program, Hypercard. He currently operates a wonderful photography enterprise. My friend Larry met him at a recent computing conference and scored the autograph pictured above after sharing our MacMom story with Bill. Thanks Larry! Fortune Magazine blog - Apple 2.0 Covering the business that Steve Jobs built, quoting Bill Atkinson on the future of computing. 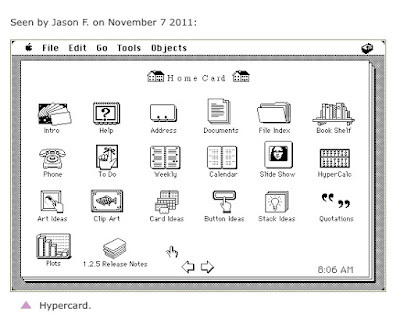 Their founder, Jason Fried recently posted an image of the beloved (to me) Hypercard interface. 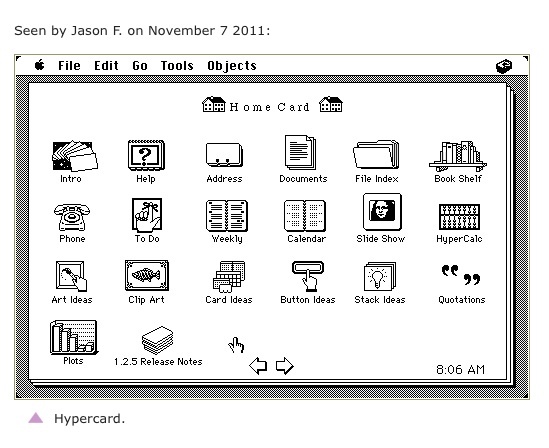 Hypercard was a very early, very powerful database programming tool. We purchased the original version in 1987 for $49.95. They had to mail us our copy on diskettes because it hadn't been installed on the new Mac Plus we'd just bought (over $6,000 with no hard drive). I first learned to build new business management systems digitally with Hypercard. 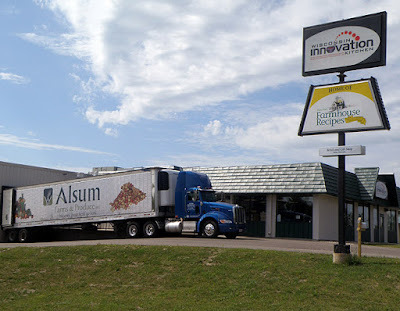 We ran our family business, Banner Graphics, for over 25 years. We could not have done it without control over our information flow. In our later, most productive years with this business, we did it with Hypercard. I'm forever grateful to Bill Atkinson and friends at Apple for this powerful, elegant contribution, especially so early. 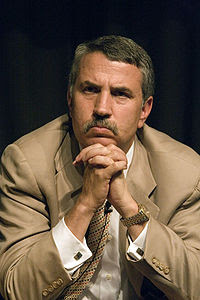 It was like being able to create your own private web site - customized to what you needed to know - before the internet. Amazing. I'm going to post two Hypercard pieces while this is on my mind. I believe new and emerging enterprises fail most often because they can't control their data. You must have a system to capture and control your data in a scalable way. If you can't, you're not sustainable. Period. Banner Graphics, our family-run business for over 25 years. Jammin' for the Holidays with the Innovation Kitchen! For the next few weeks, you can order a wonderful array of fruit jams and apple butter for the Holidays. Best of all, we can personalize the labels on these gifts with your holiday greetings. 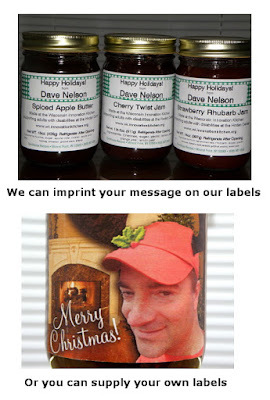 Your personal or business holiday wishes will be printed right on the label. 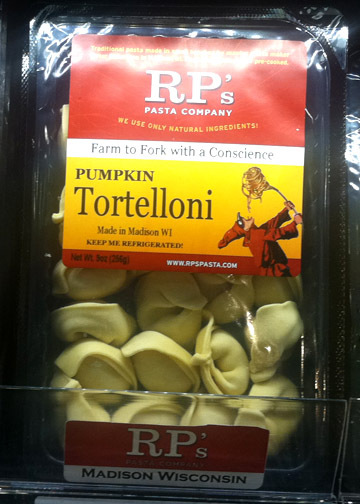 These wonderful gifts are prepared at the Wisconsin Innovation Kitchen under their own Farmhouse Recipes brand. 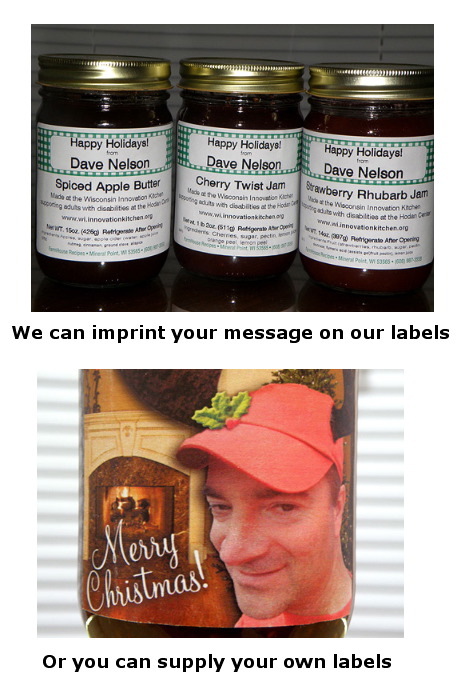 For the holidays, we can personalize the label on these jars with your message and images. Standard labels that we imprint are shown in the photo above. If you send us your pre-printed labels (photo below) we can also put those on your gift jars. This is really fun. As the saying goes, quantities are limited. While supply lasts. If you would like more information please send an eMail to the link below. So, Happy Holidays to all friends of the Wisconsin Innovation Kitchen! I am a HUGE fan of their raspberry jalapeno jam spread over cream cheese on crackers. Guaranteed 'wow' moment. If you would like to order your own private labeled jams or apple butter as holiday gifts, now is the time to act. We will likely stop shipping by mid-December. Minimum order for custom labeling is one case which is 12 jars. All orders will include a short narrative about the Wisconsin Innovation Kitchen and our parent organization, the Hondan Center, who are providing this valuable employment opportunity for my friends with disabilities. What a wonderful gift for the holidays. 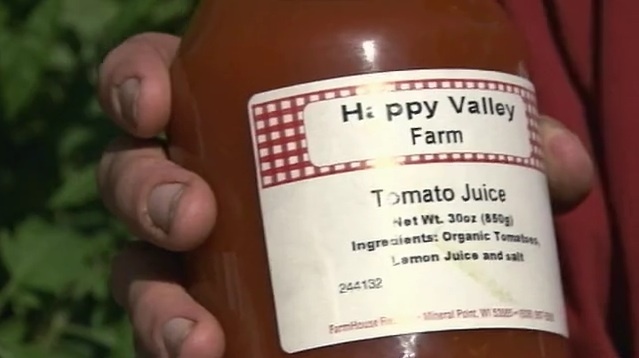 Good local food and the gift of jobs for people who need our support. I haven't talked to Mike since the Madison Food and Wine Show but his wonderful Raw Dog Relish booth was one of my favorite stories of the weekend. 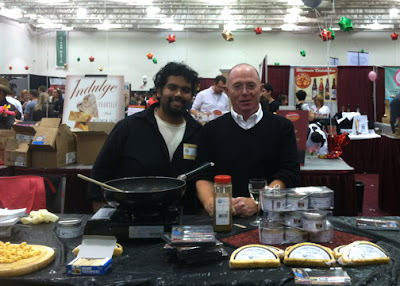 Mike sold out faster than any other vendor at this year's Madison Food and Wine show. Amazing. Don't worry fans of Raw Dog Relish. Annette and her team at the Innovation Kitchen have already prepared more of Mike's great tasting line. You can get more from Raw Dog and also on sale at the Innovation Kitchen in Mineral Point. 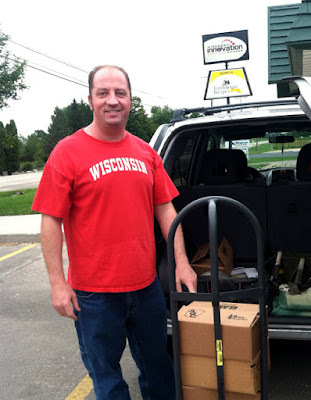 We greatly appreciate Mike and Raw Dog's support for the Wisconsin Innovation Kitchen. We look forward to helping your great new food enterprise grow and flourish. 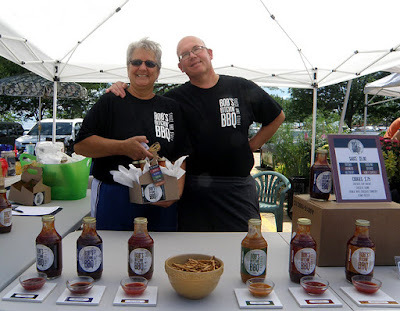 Congratulations Mike and Raw Dog Relish! Visit the Raw Dog Relish Facebook page. Great launch Mike! Innovation Kitchen partners Karen and John, Wisconsin's 2011 Rising Star Award winners! 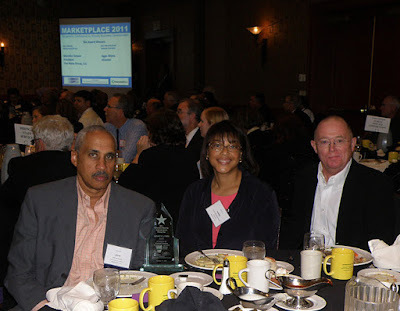 New photos just came in from the Wisconsin Marketplace 2011 award ceremony in Green Bay honoring the outstanding diversity and value businesses in Wisconsin can bring to life. Did I mention (with great enthusiasm) that our Innovation Kitchen partners Karen and John won the 2011 Wisconsin Rising Star Award? Our kitchen's production capacity helped John and Karen's amazing new food enterprise launch and grow. Top photo is Karen acknowledging their award. 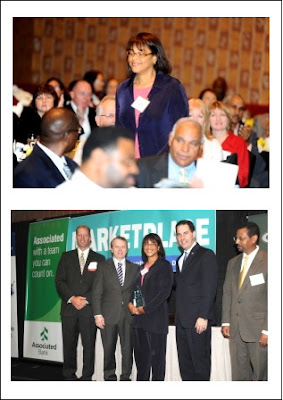 Bottom photo is the award presentation featuring Karen, Governor Scott Walker and Secretary/CEO Paul Jadin, Wisconsin Economic Development Corporation. Congratulations Karen and John on your wonderful award! Thank you for supporting the Wisconsin Innovation Kitchen and thank you for letting us help you grow your new food enterprise! Visit their wonderful B&B, Ye Olde Manor House, in Elkhorn, WI. 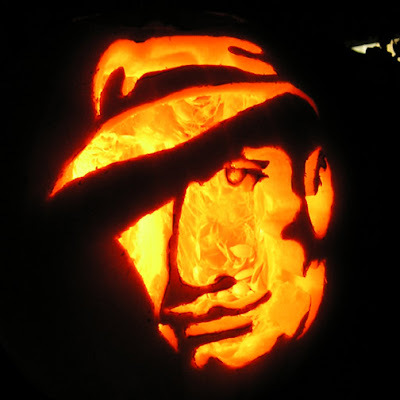 The link below brings up a photo page of some of the pumpkins I've carved over the years. 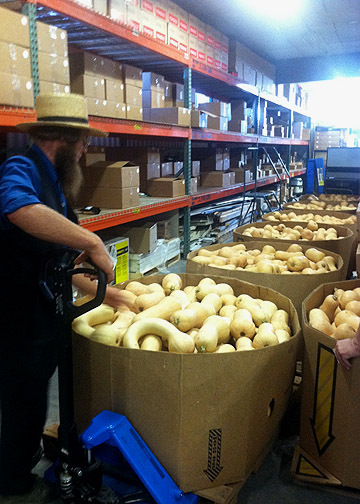 Now, when I go to work, I'm surrounded by thousands of pounds of pumpkins destined to become delicious ingredients at the Wisconsin Innovation Kitchen. Welcome Wisconsin Housing and Economic Development Authority (WHEDA) to our Wisconsin Innovation Kitchen! This past week Mr. Wyman Winston Executive Director of the Wisconsin Housing and Economic Development Authority (WHEDA) visited our Innovation Kitchen in Mineral Point. Mr Winston brought along new and old friends from WHEDA. What a great visit! We were able to show off the proven record and the growing possibilities our Innovation Kitchen has for making jobs, as well as starting and growing small businesses. Our Innovation Kitchen business model has developed an experiment worth pursuing. 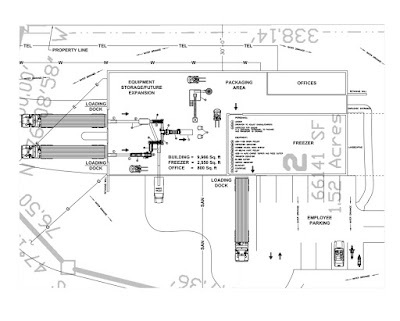 We're proving this kind of processing facility can operate profitably for all involved. This model can help rural and urban communities utilize local foods and smart, nimble business planning to build some valuable new economic development tools for Wisconsin and beyond. 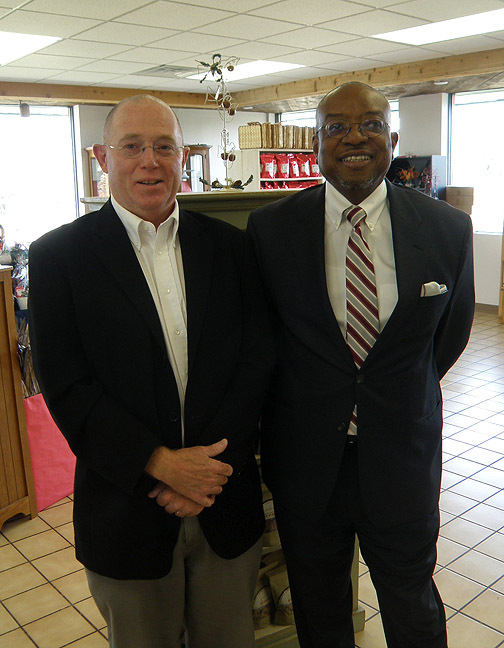 Many thanks for a great visit WHEDA Executive Director Wyman Winston! I have the opportunity to speak next week about our efforts at the Wisconsin Innovation Kitchen to create jobs for people with disabilities and low income people. I'll be joining the 2011 Economic Summit for Rehabilitation For Wisconsin In Action at Kohler on Wed. Oct. 26. I really like the conference title: 2011 Wisconsin Economic Summit. 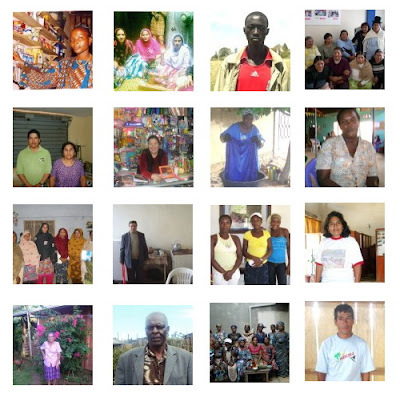 From Poverty to Financial Security. "There’s more to poverty than a lack of income. Wisconsin’s overall poverty rate rose from 12.4% in 2009 to 13.2% in 2010. Wisconsin’s pre-recession poverty rate in 2007 was 10.8%. Between 2007 and 2010, the number of people in Wisconsin living in poverty increased by about 143,000. But in Wisconsin, there IS an effort underway to find practical, hands-on solutions to increase collaboration between the private and public sectors to lift people out of poverty toward financial security." Through the efforts of the Wisconsin Innovation Kitchen and its parent organization, the Hodan Center, we're helping support over 90 jobs in Wisconsin. We've also created employment opportunities for more that 30 people with disabilities, while helping start and grow dozens of new businesses. Join us if you can in Kohler, WI next Wednesday Oct. 26. Link to the RFW home page and their conference registration page is below. 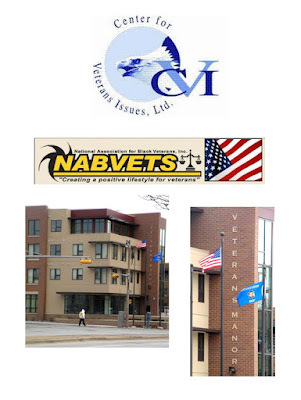 Rehabilitation For Wisconsin Home page. RFW In Action 2011 Economic Summit information. The Madison Food & Wine Show is coming up next weekend, Oct. 21 through 23. Our Wisconsin Innovation Kitchen Kitchen will be exhibiting under the Something Special from Wisconsin program. We will be sampling wonderful jams from the Innovation Kitchen that can be given as holiday gifts to friends and for business gifts year-round. You can even buy our great jams and jellies and have your own private label put on the jars. 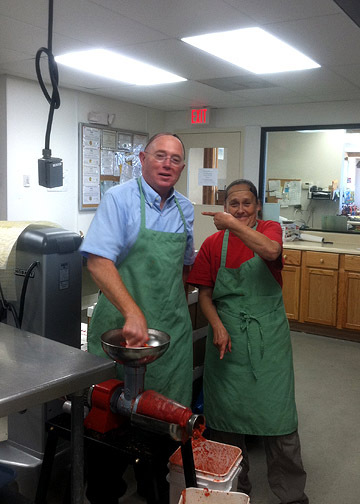 Your purchase helps support the employment needs of people with disabilities employed at the Wisconsin Innovation Kitchen in Mineral Point, WI. The Madison Food and Wine Show is open to all food and wine lovers, 21 years of age and older. Join us! 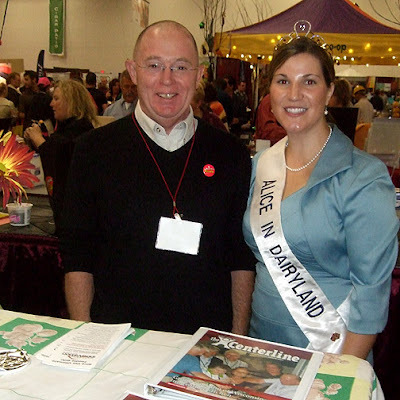 Photo is from last year's Madison Food and Wine Show, with my friend Christine Lindner, Wisconsin's 2010 Alice in Dairyland. 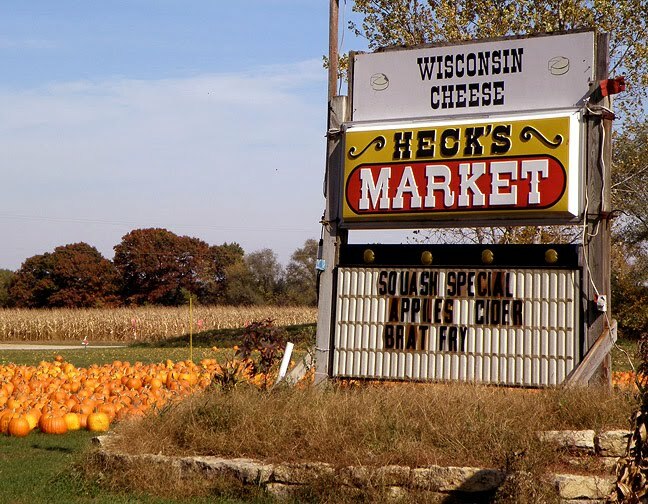 One of our favorite Innovation Kitchen partners is the wonderful Heck's Farm Market near beautiful Arena, Wisconsin, gateway to the Wisconsin River valley. Heck's Market is a valuable partner of the Innovation Kitchen. We are preparing some wonderful private label recipes for their great farm and market operations. If you're in the greater Madison area, or making the drive on beautiful Highway 14 (University Avenue) west of Madison, stop in and visit. Links below. Hard not to love a farm when their 3 year old granddaughter, potentially their multi-generational family farm's future leader, is giggling and blowing kisses at her Grandparents during our meeting. I've bought many of my carving pumpkins from Heck's for years. While I was at Heck's last Friday I got the best one I've found in years. If you're looking for great carving pumpkins this year, you should check out Heck's. 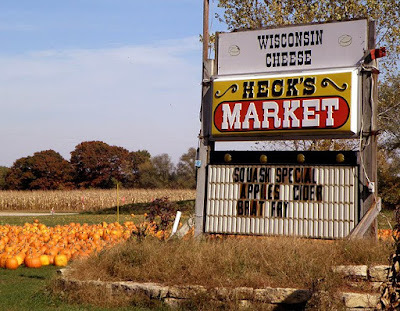 Thanks Heck's Farm and Market in beautiful Iowa County, Wisconsin! 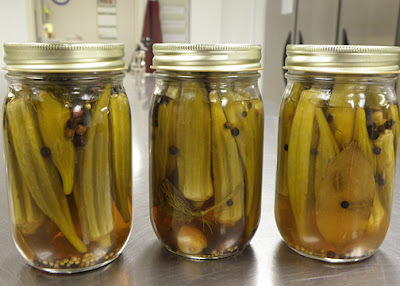 The Innovation Kitchen is honored to support our local farms and help preserve their artistry as growers into new food product lines that can be sold year-round across big regions. Marketplace 2011. 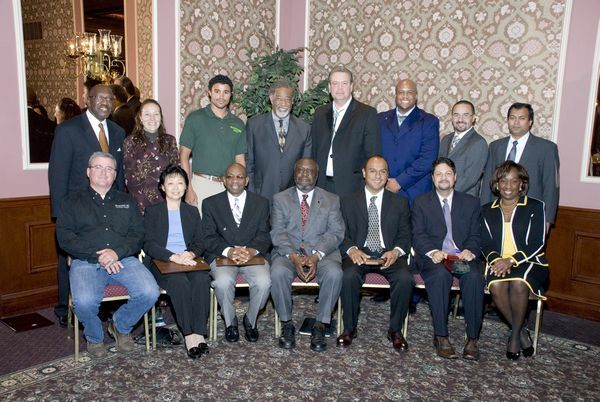 Wisconsin Governor's Conference on Minority Business Development - Oct. 13. Green Bay - Join us! Join us in Green Bay next Thursday, October 13 for a great day of business connections. This is the 30th Annual Wisconsin Minority Business Enterprise Conference. It is a landmark event celebrating decades of MBE achievements in Wisconsin! One of our favorite Innovation Kitchen partners, Karen and John of Maxey Lynn and Ye Olde Manor House B&B are in the running for one of this year's MBE Rising Star Awards. This award recognizes an emerging for-profit business that shows great promise as an innovator, either by virtue of its product or service offering, or shows promise of strong competitive advantage and growth because of its business model. Among the event's sponsors are many I admire, including a couple of organizations I've worked with directly. Harley-Davidson Motor Co.was the first major corporation to take a a chance on our work in my last significant startup. Here are two posts about my work with the great Harley-Davidson: 2005 and in 2007. The investment Harley-Davidson made in our technology was a huge boost to our startup. This led to our winning the Wisconsin Governor's New Product of the Year Award twice, and in 2005,our being awarded the United Sates Small Business New Product of the Year Award. This great event is also being sponsored by WHEDA - our Wisconsin Housing and Economic Development Authority. 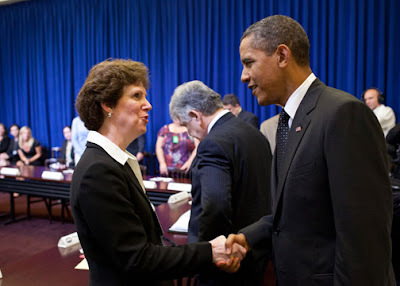 I'm looking forward to catching up with WHEDA friends from around the state. Also, all of us at the Innovation Kitchen are very much looking forward to a scheduled visit by Wyman Winston, WHEDA's Executive Director later this month. 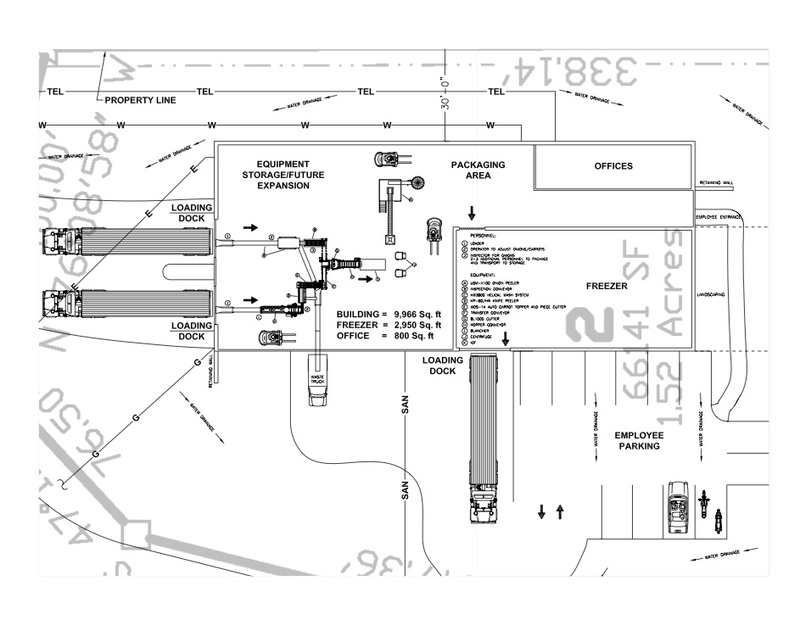 We can't wait to show off the place! Lastly, our Wisconsin Innovation Kitchen booth is being sponsored by good friends from Heartland Information Research. Thanks! Join us next week in Green Bay for Marketplace 2011 and the Governor's Conference on Minority Business Development! 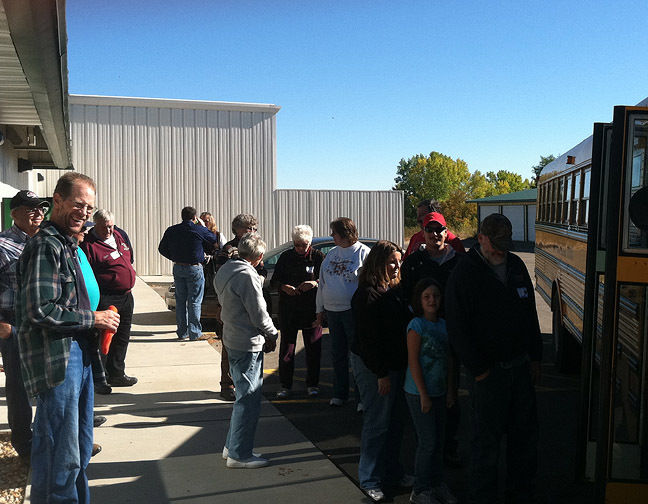 The Wisconsin Maple Syrup Producer's Association toured the Innovation Kitchen on Saturday. Their group is dedicated to improving the ability of its members to produce and market the finest maple syrup in North America. We think our Innovation Kitchen can be a great tool for building creative marketing options for your wonderful product. Thank you WMSPA friends. I really enjoyed our visit!